You know how cats never want to play with any toys that you buy them? I take that as a challenge to make Bear a toy that she will love. 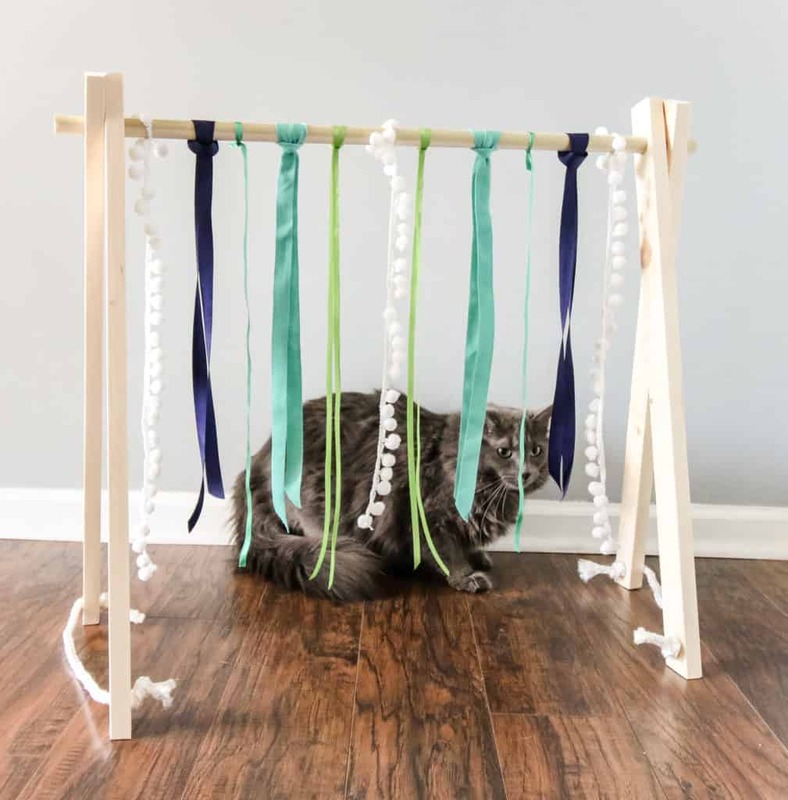 Since she loves ribbons so much, we decided to make her a play gym featuring a variety of dangling ribbons. It’s really nice because it easily collapses flat to be stored in a closet or under the bed. 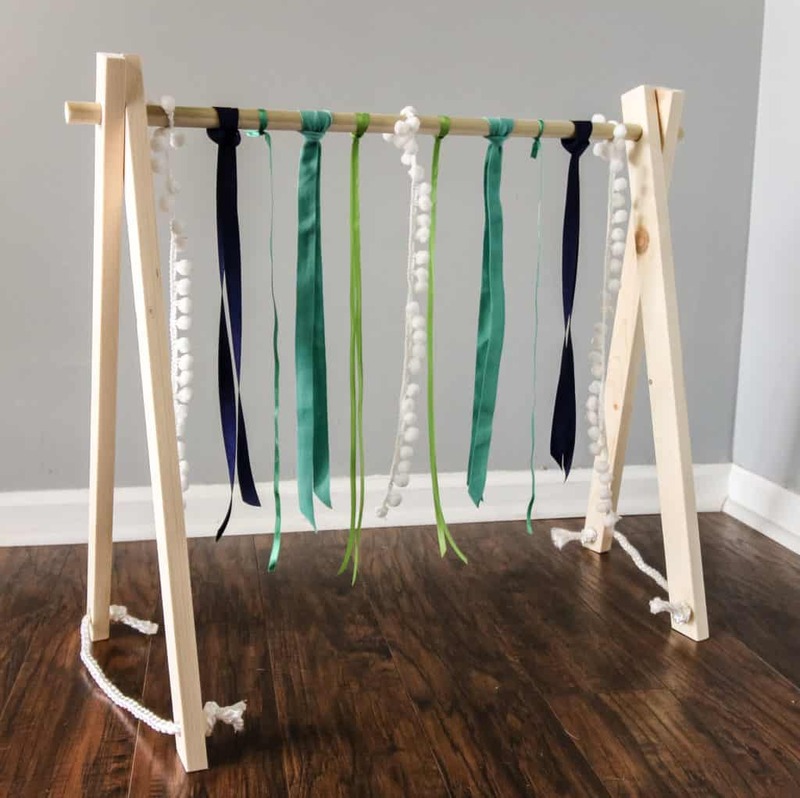 But, it’s also pretty enough with that raw wood and color coordinated ribbons that it is totally cute to leave out as well. Cut four 2 foot long pieces from the 1×2 with a 15 degree mitered angle on one end of each one. 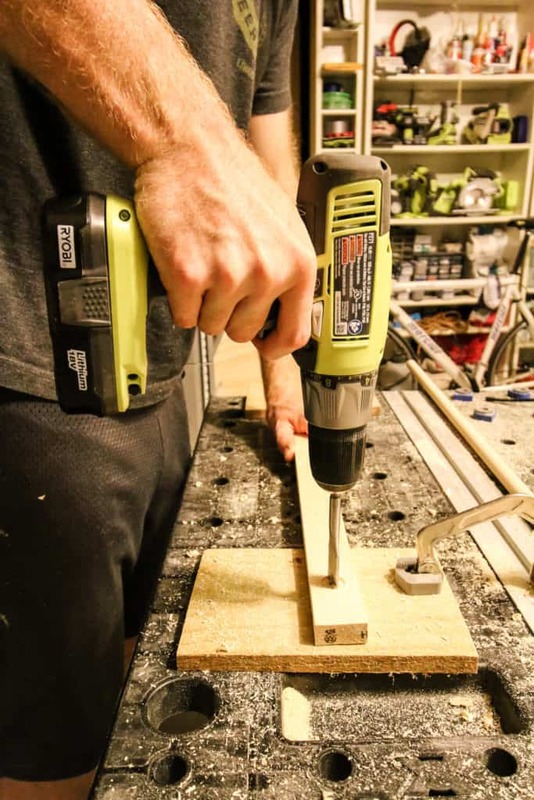 Drill a 3/4″ hole about two inches down from the flat side of each board and a 5/8″ hole about 1-2 inches from the end of the mitered side of each board. 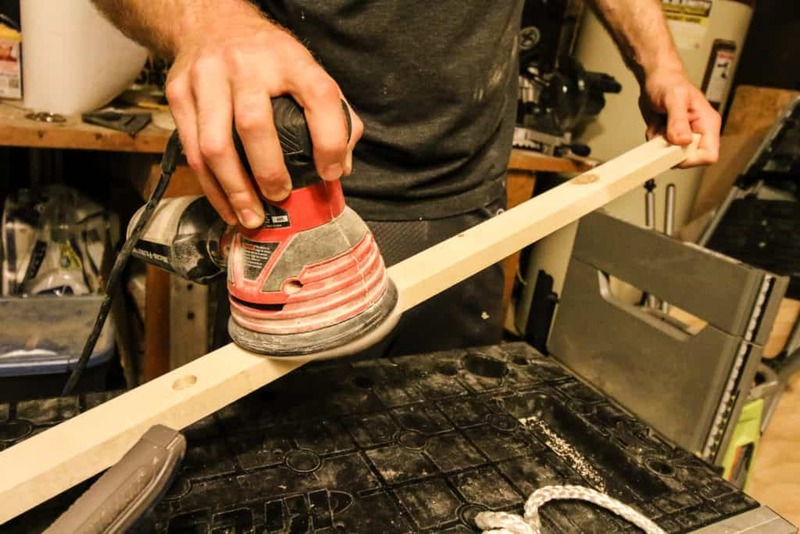 Slide the dowel through the 3/4 inch holes with two boards on each side. Make sure that the mitered edges are facing away from each other so that they can make an A-frame. They should be snug, but you can add a little wood glue to the inside of the two outer boards if you need to to keep them in place. Finally, thread rope through the holes on each side to keep the legs from sliding away from each other. 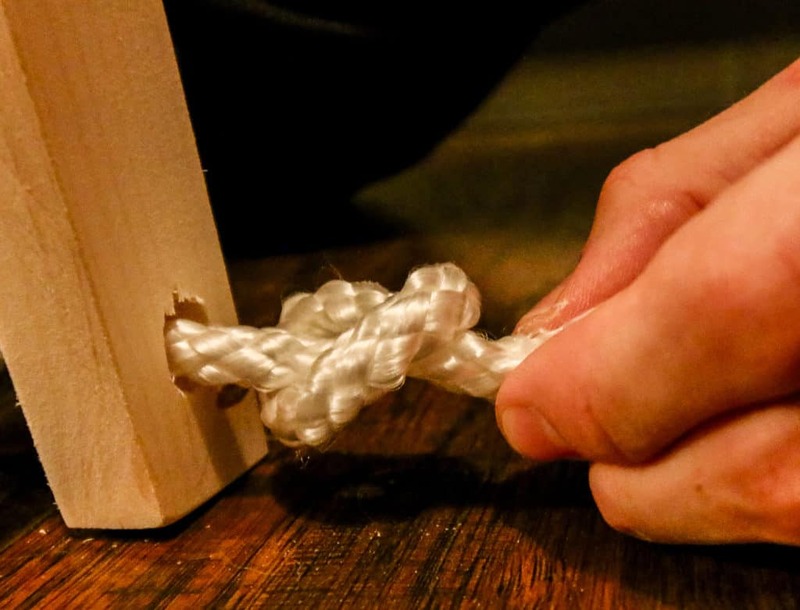 Tie knots on the inside of the holes and string it to the other board and do the same there. When the structure is complete, you can attach your ribbons! Depending on the length, you might want to fold them in half and loop them over the dowel (as I did with many of the green ribbons here) or tie them onto the dowel (as I did with the thinnest dark green ribbons and the pom moms, since they were shorter pieces). Ta-da! 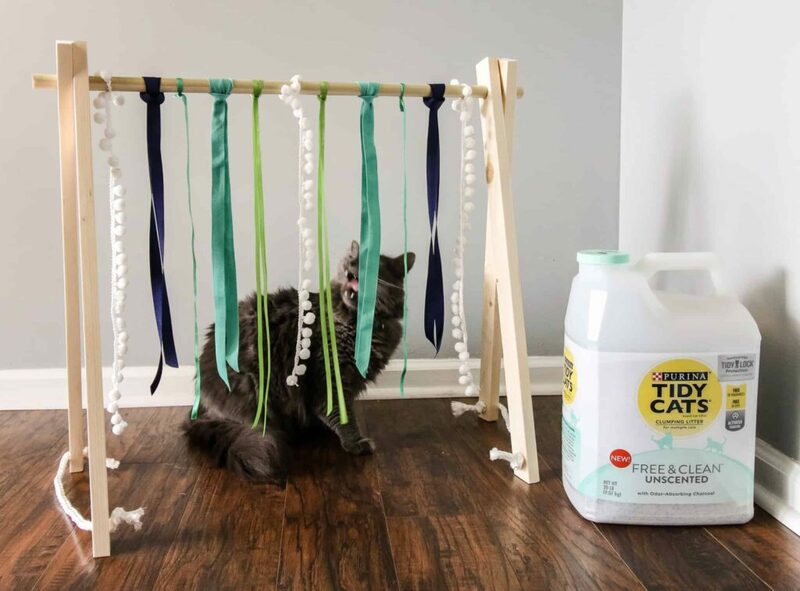 Your DIY cat play gym is ready for kitty to play. While we were treating Bear to a new toy, we also treated her to a new litter! 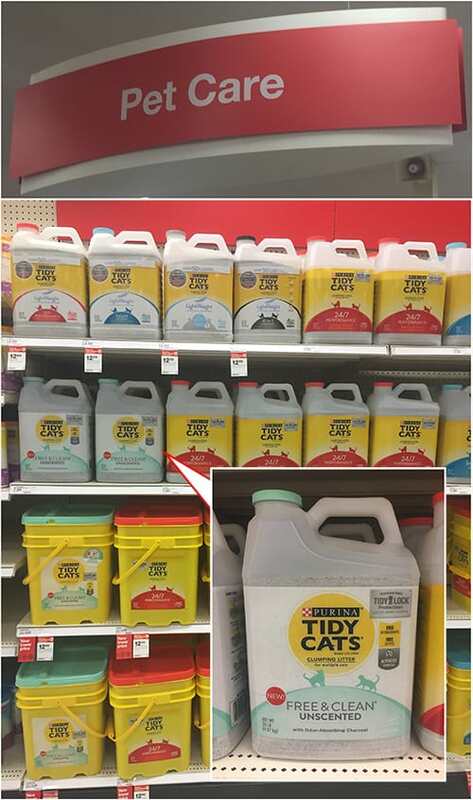 New Purina® New TIDY CATS® Free & Clean™ Unscented Clumping Litter is available at your local Target. It features Unscented Odor Control with the Power of Activated Charcoal. 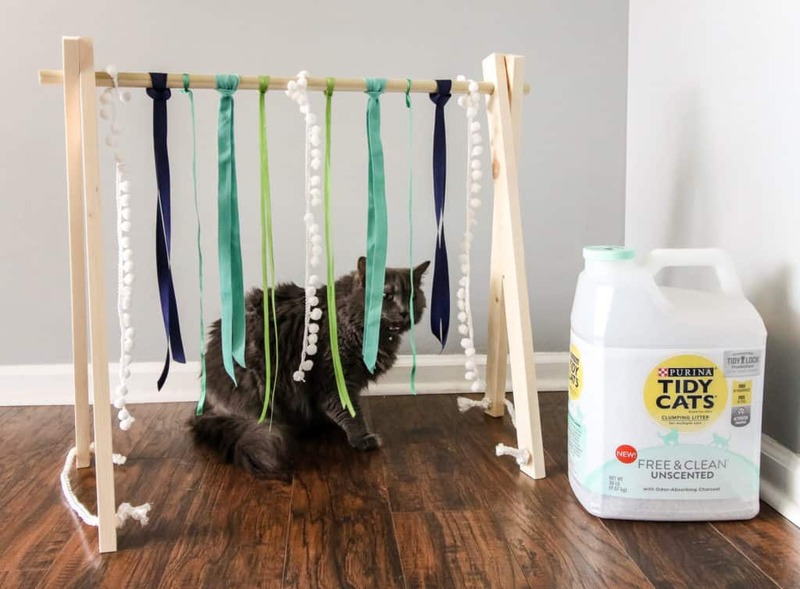 Tidy Cats® knows powerful odor control is at the top of your list of litter must-haves…but sometimes added fragrances and dyes just aren’t what you want. Free & Clean offers you the odor-absorbing power of activated charcoal plus TidyLock® Protection to lock away odors—giving you the clean you need free of the stuff you don’t. Whether it’s scoop, non-clumping, LightWeight or alternative, Tidy knows how to make a happy nose. 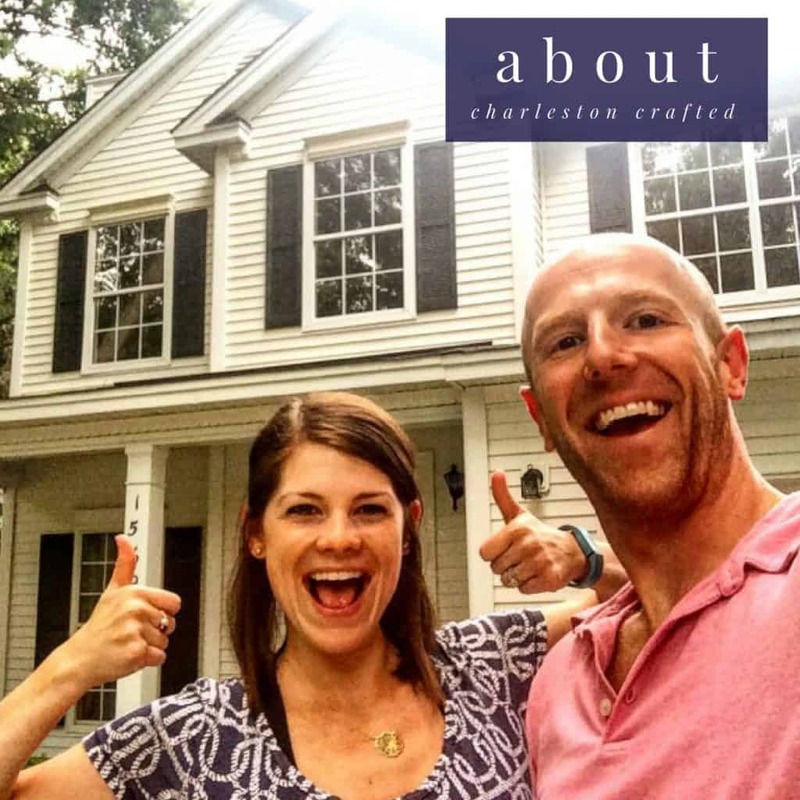 Click over to get more details on where you can find your own!